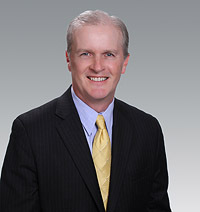 Jack McPherson, CFA is a member of the Aristotle Boston investment team. Prior to joining Aristotle Boston, Jack served as Managing Director and Co-Portfolio Manager at Eagle Boston Investment Management; Vice President and Portfolio Manager at Pioneer Investment Management, Inc.; Security Analyst at Middleton & Company, Inc.; Vice President and Equity Analyst at Evergreen Investment Management Company, LLC; and Equity Analyst at Pell, Rudman & Company, Inc.
Jack earned his Bachelor of Science degree in Finance from Northeastern University and his MBA from Babson College. He is a CFA® charterholder.